The process of heating metal or alloy to a suitable temperature, holding it for a certain period of time and then cooling slowly (is cooling with furnace) is called annealing. The essence of the annealing is to heat the steel to austenite after the pearlite transformation, after annealing the organization is close to the balance after the organization. (1) To reduce the hardness of steel, improve the plastic, easy machining and cold deformation processing. (2) Uniform the chemical composition and organization of steel, grain refinement, improve the performance of steel or tissue preparation for quenching. (3) Eliminate internal stress and work hardening to prevent deformation and cracking. 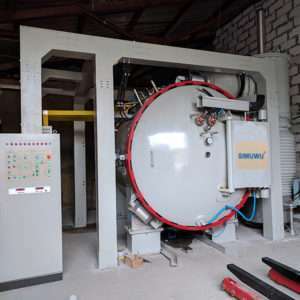 Annealing and normalizing are mainly used for preliminary heat treatment, for parts that are less stressful or performance requirements are not high, annealing and normalizing can also be used as final heat treatment.